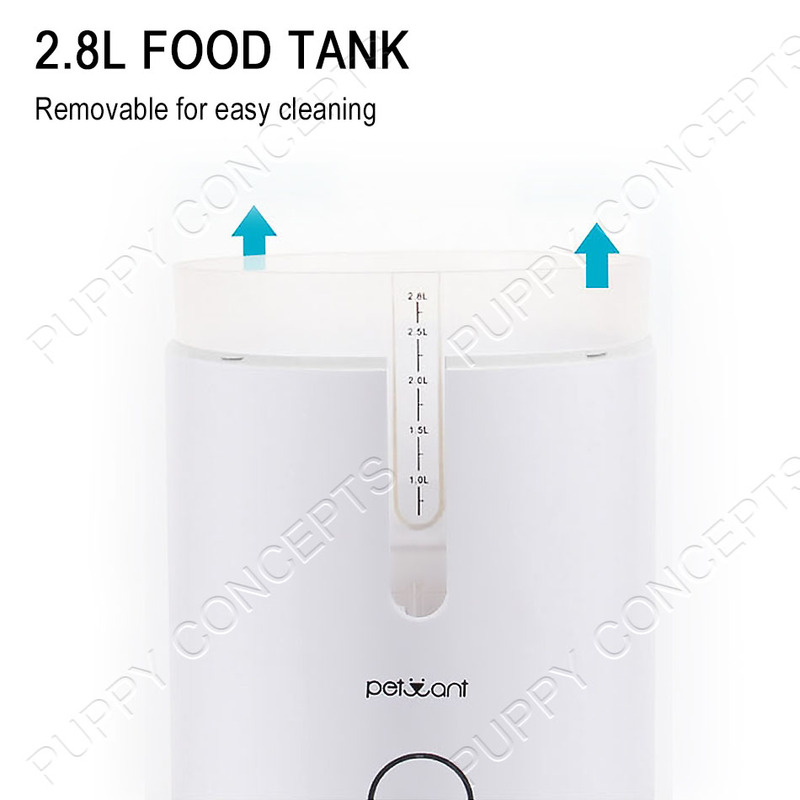 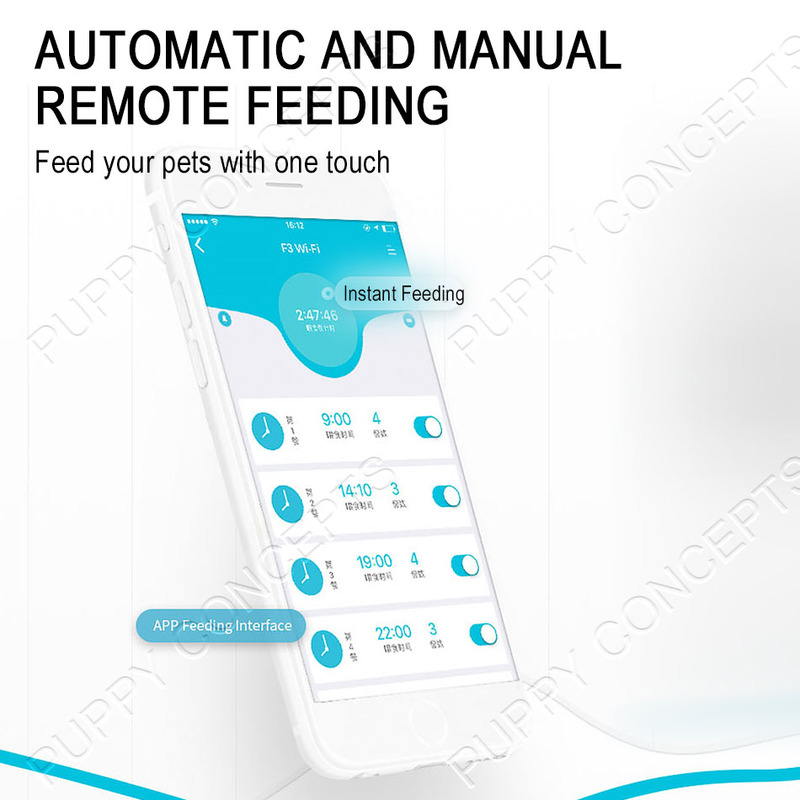 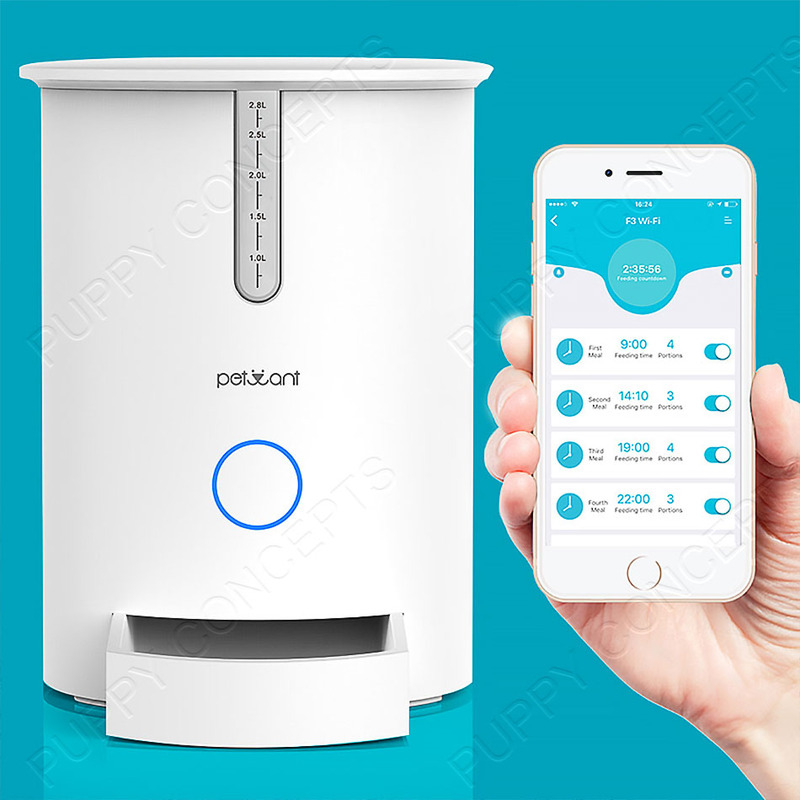 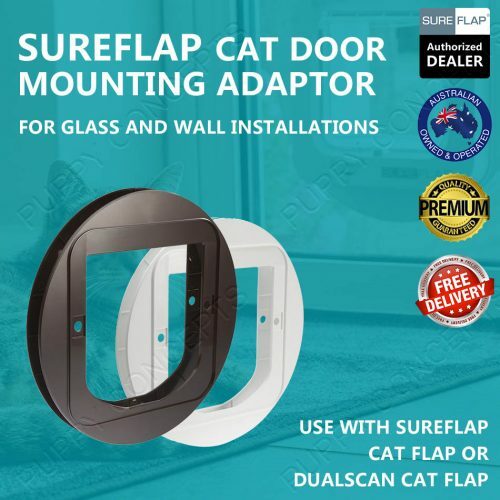 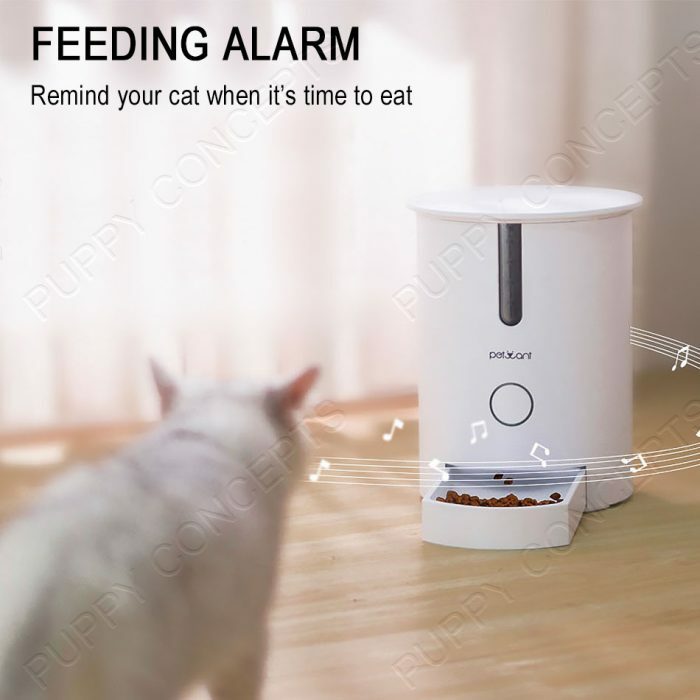 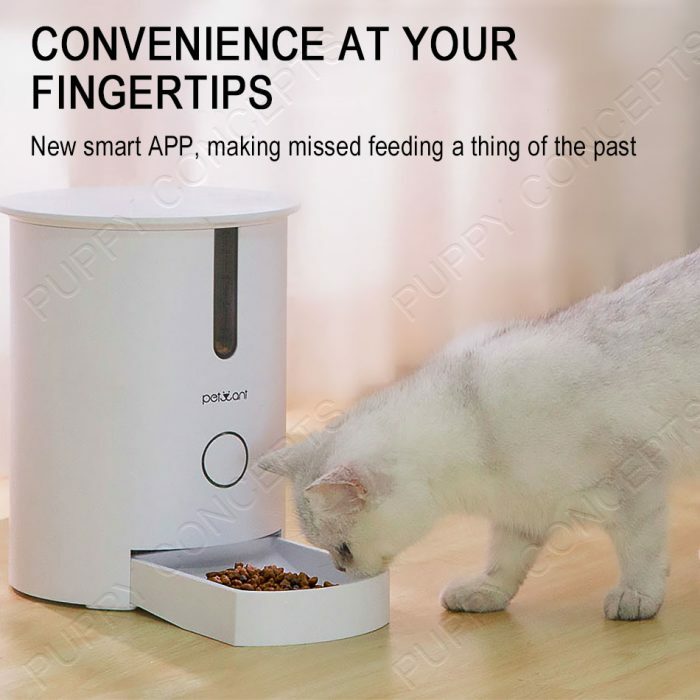 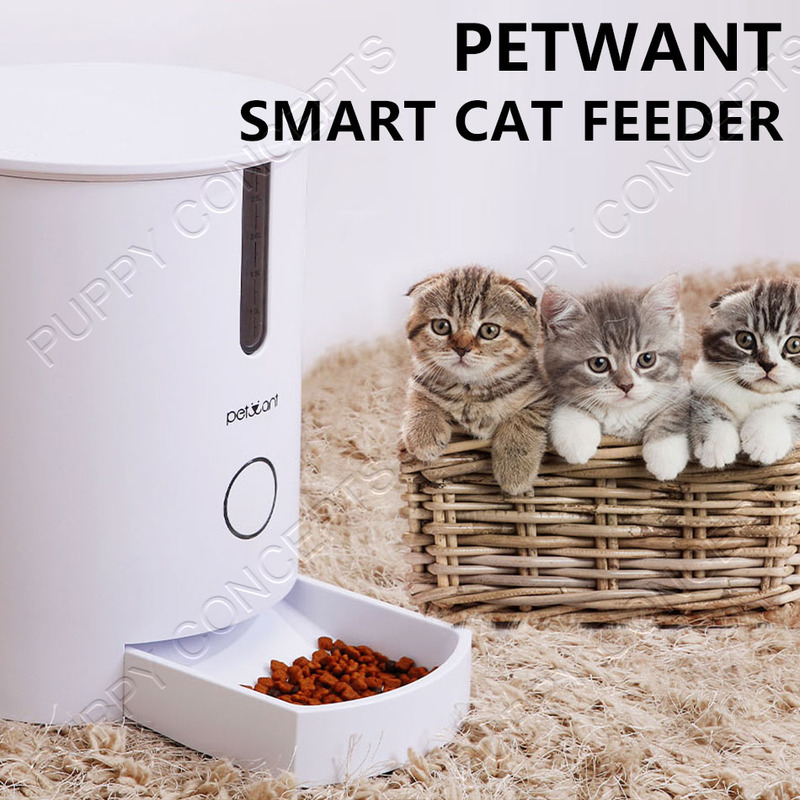 Petwant Smart Cat Feeder F3 Wi-Fi not only has a minimalist design, but also means zero guesswork and individually personalised feedings. 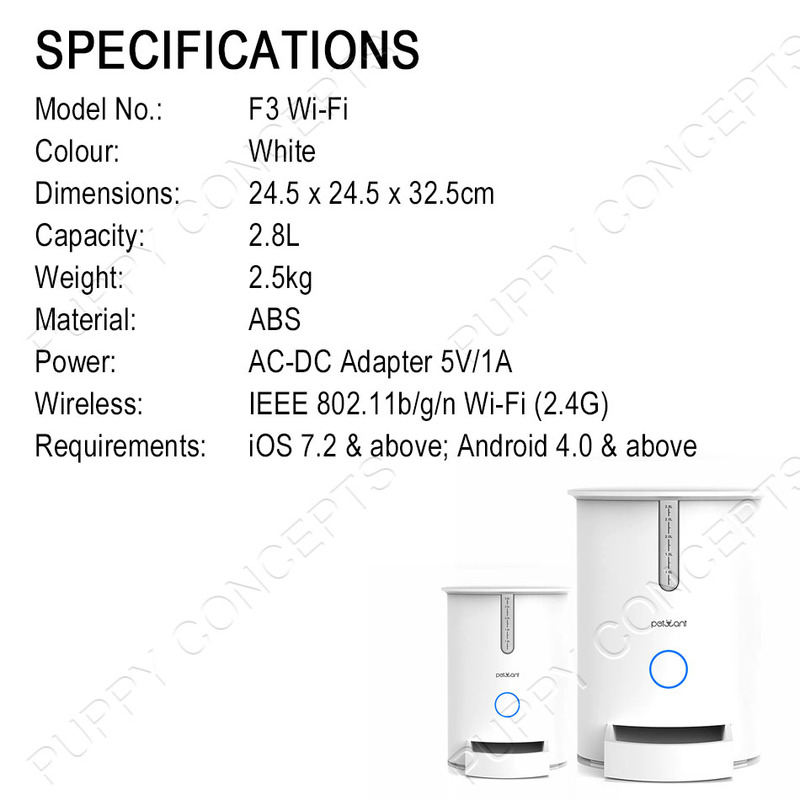 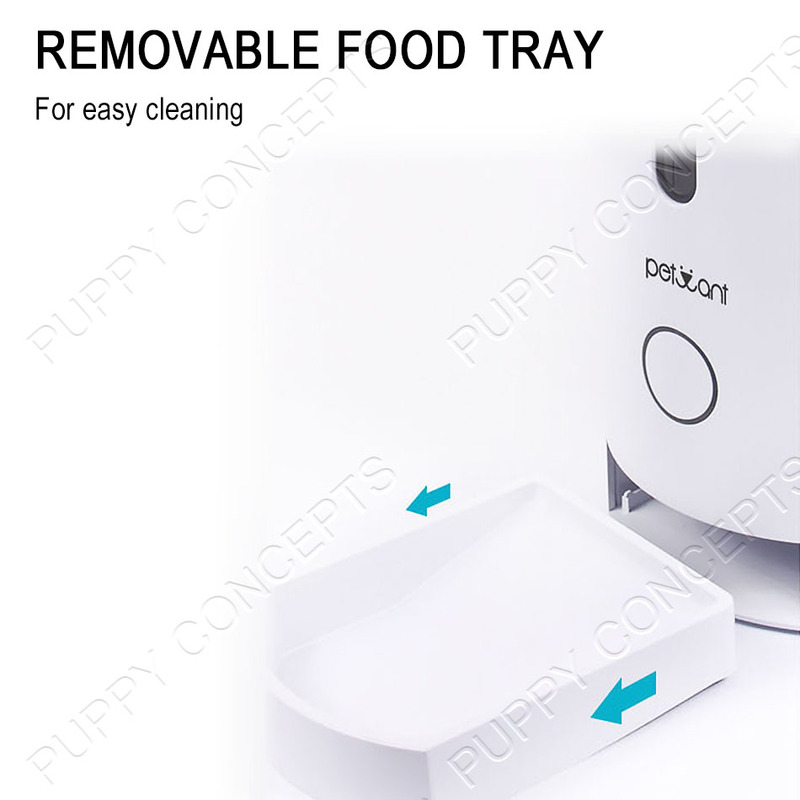 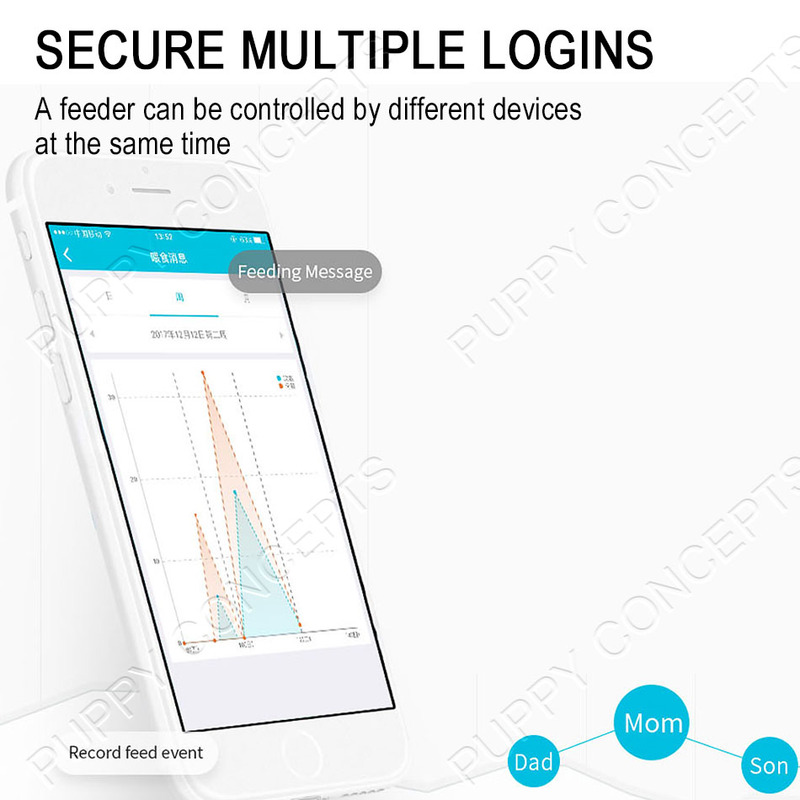 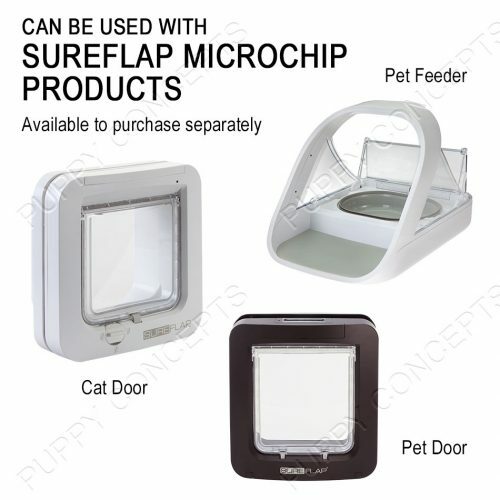 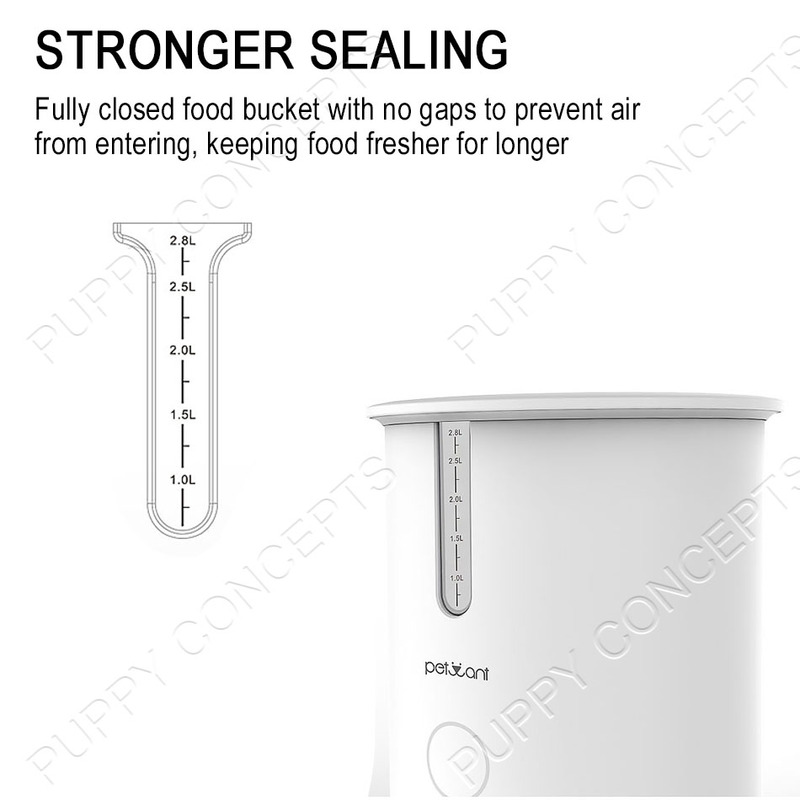 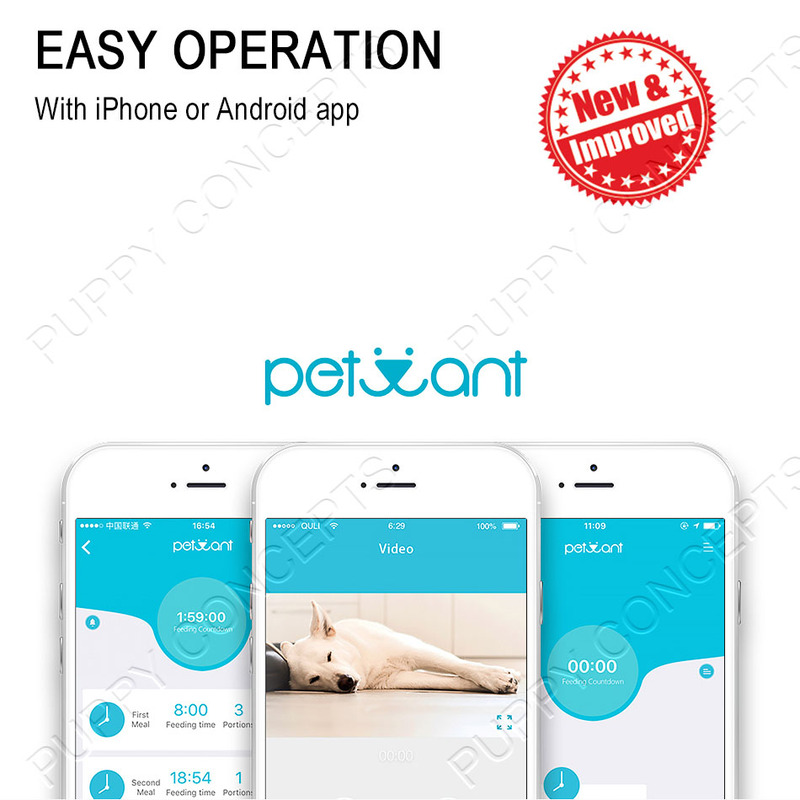 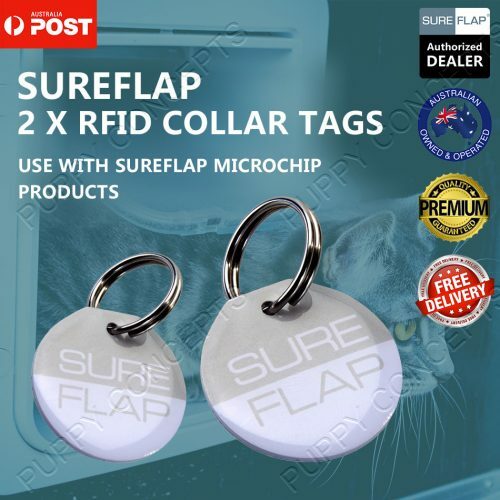 To meet cats’ dietary needs, F3 Wi-Fi especially introduce feeding notion that is “less food and multiple meals”. 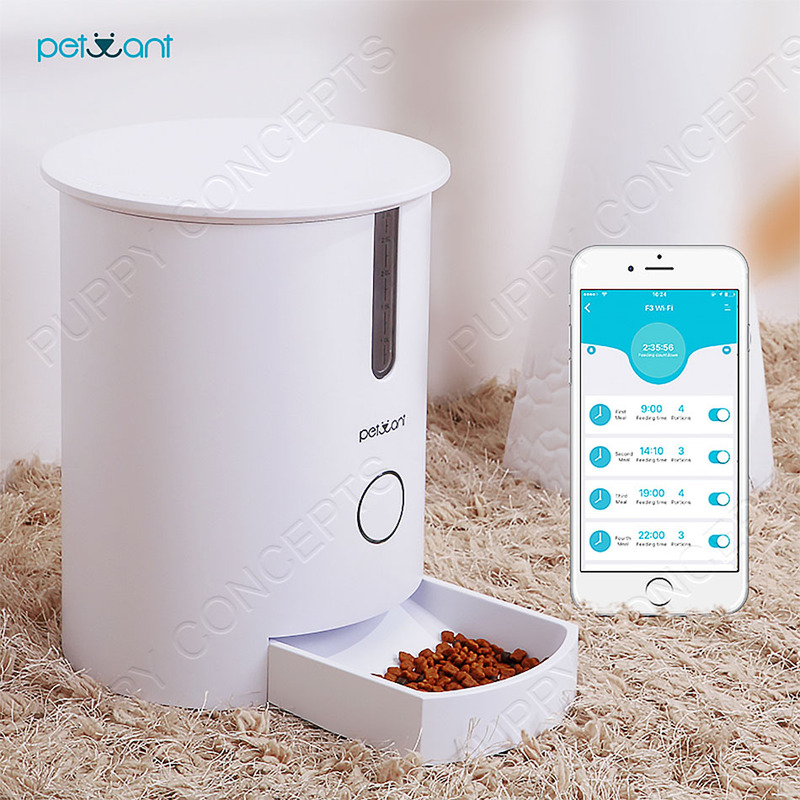 Petwant Smart Cat Feeder F3 Wi-Fi not only has a minimalist design, but also means zero guesswork and individually personalised feedings. 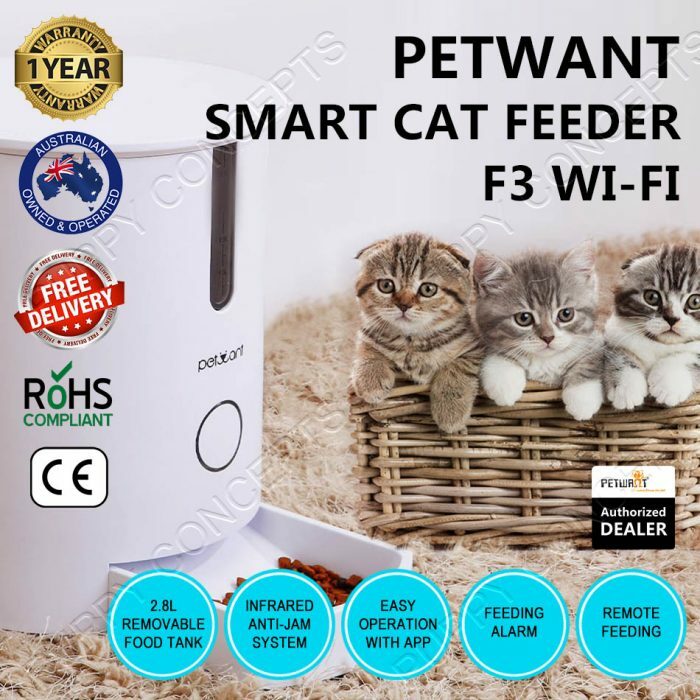 To meet cats’ dietary needs, F3 Wi-Fi especially introduce feeding notion that is “less food and multiple meals”. 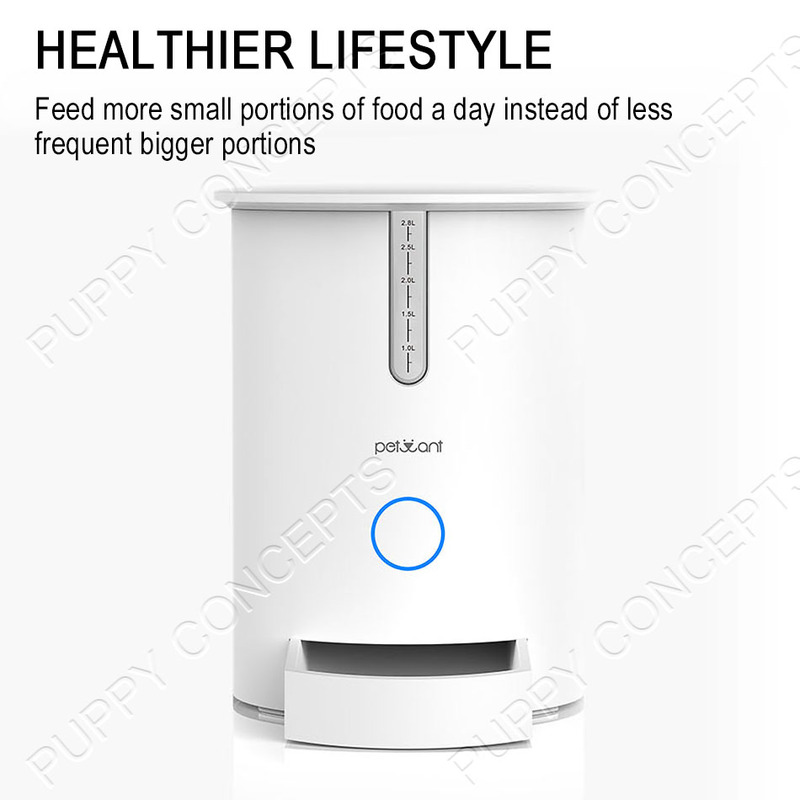 User can set up to 6 meals each day and each portion can be set to a low 5g. 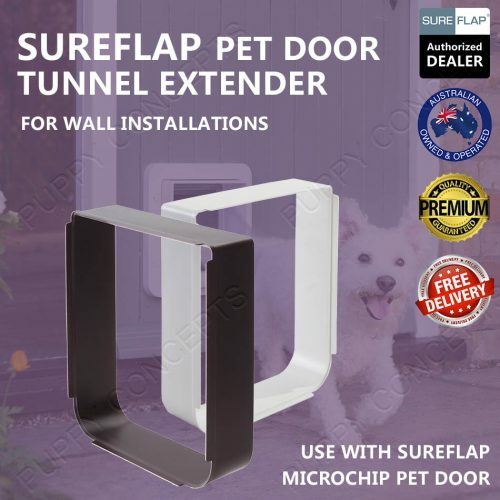 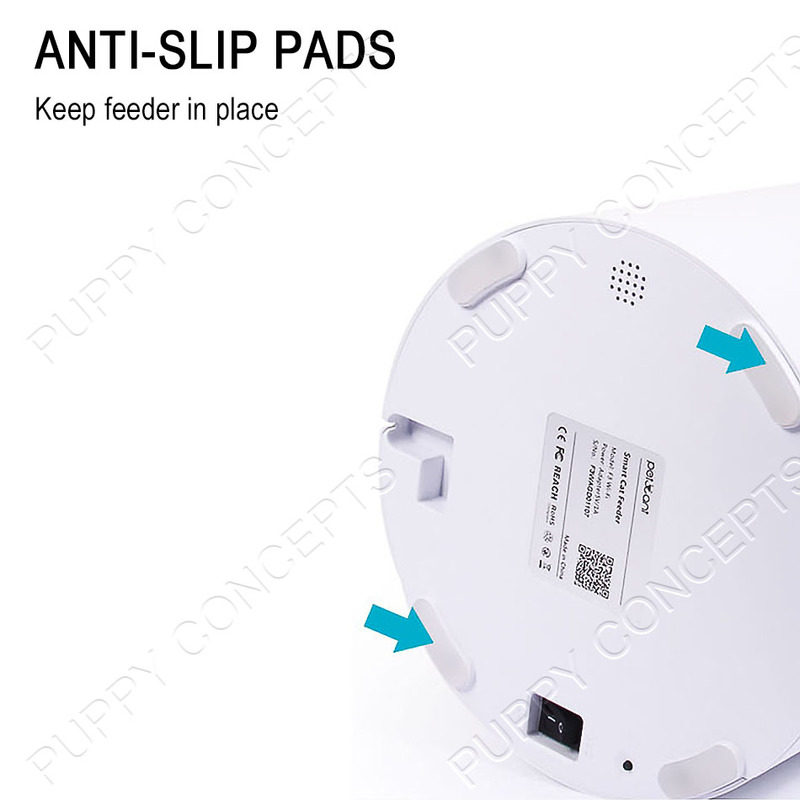 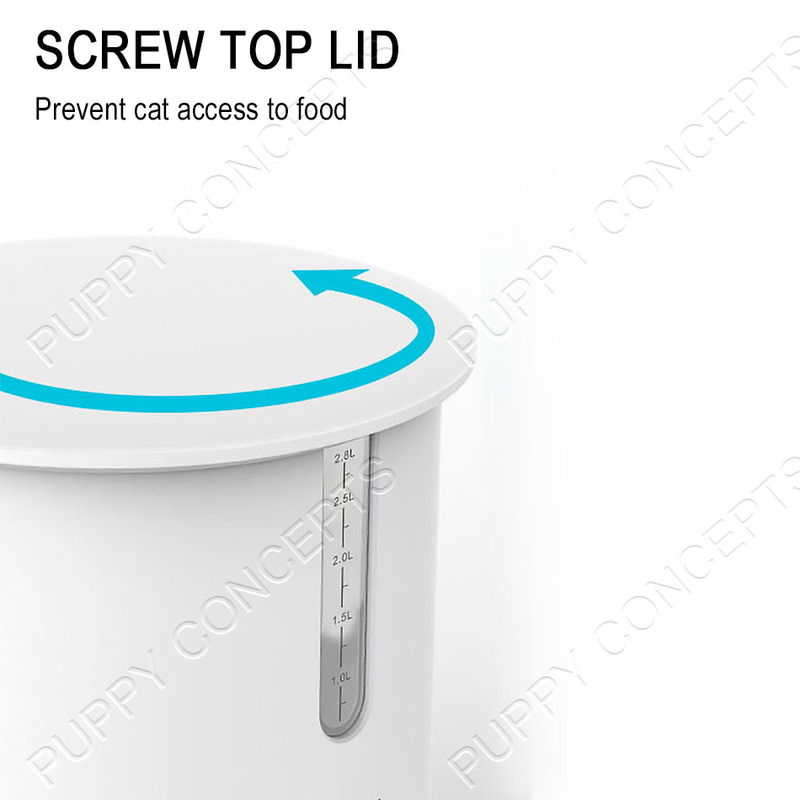 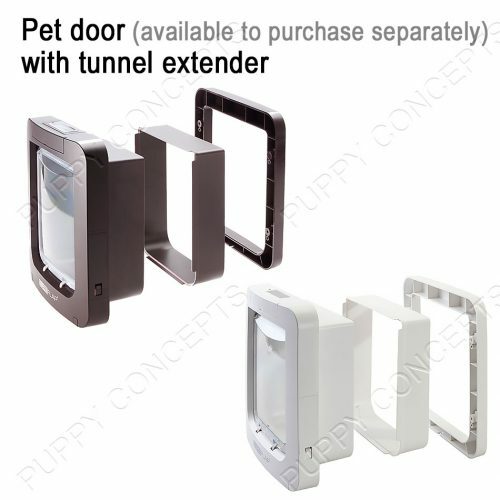 Power switch and reset button are at the bottom of the feeder, which prevents pets from touching. 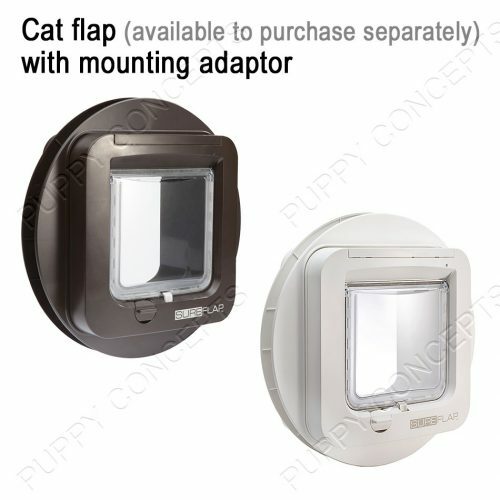 Adapter input is also at the bottom of the feeder.